← Sunday, 10/4 @BFC: Green bags, Trustees, Sunday School, Charles Blue speaking, Picnic! 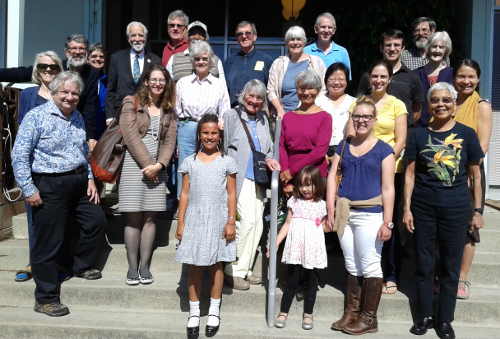 Berkeley Friends Church celebrated World Quaker Day 2015 in worship by praying for the worldwide family of the Religious Society of Friends/Friends Church/Quakers–that we would all listen for and attend to the Inward Voice of Christ. Our worship speaker was Charles Blue, the oldest member of our meeting, who spoke on Psalm 23 as a prayer of thanksgiving. We also spent time praising God in song and waiting in expectant silence. Our loving greetings to Friends everywhere!